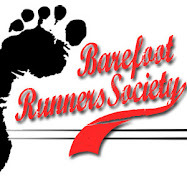 Barefoot Tyler: What Should I Do About Scary Dogs While Running? So should I beat them or join them? I was told if I pepper-sprayed the dog it would most likely leave me alone, but I personally don't think it's the dogs fault if the owner doesn't cage it. A dog only knows as much as his owner teaches. I was also considering giving it a treat, so when it sees me run it will salivate at the treat rather than at me. Would this reward for bad behavior really be a big deal? If I lived here I would call the owners, but since its for such a short period of time I'm not going to bother. There are leash laws, but most people don't bother since it is a smaller neighborhood. Treats usually work if fear is unavoidable. Something else to try - volunteer at a dog shelter. Get used to being around a lot of cranky dogs. You'll learn to act like the boss, which most dogs will respect.